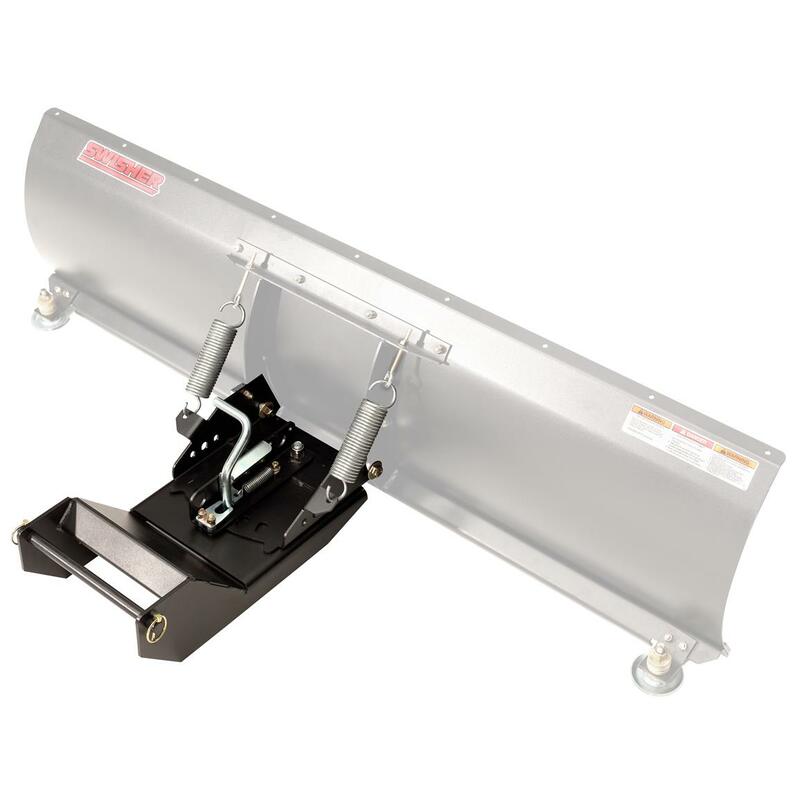 Used to mount Straight Plow Blades (Swisher® part numbers 18749 and 18750) to the ATV Quick-Switch Utility SystemTM Universal Mount Kit (Swisher part number 2646). Made in the USA. Model number: 12019. Measures 21" x 12" x 7", weighs 42 lbs.